Shatrughan Sinha soon realised his faux pas after he was prompted by Congress leaders. 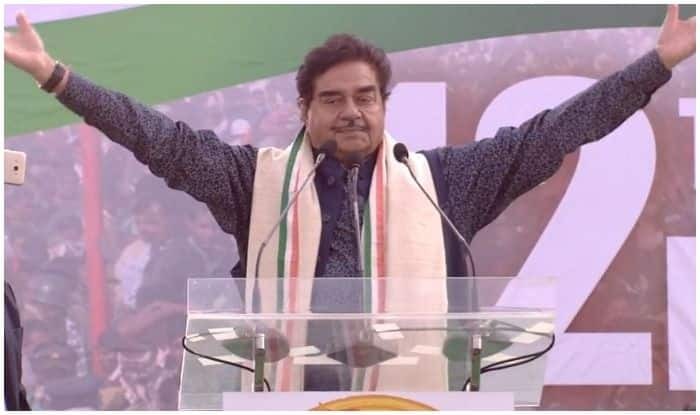 New Delhi: Disgruntled Bharatiya Janata Party (BJP) leader Shatrughan Sinha made a blunder when he referred to senior party leader Shaktisinh Gohil as the ‘backbone’ of the saffron party. He soon realised his faux pas after he was prompted by Congress leaders. “I think you all are mature enough to understand it wasn’t deliberate,” Sinha said later. Snubbed by the BJP, actor-turned-politician Shatrughan Sinha on Saturday joined the Congress. Sinha met Rahul Gandhi last week after the ruling party denied him ticket Lok Sabha poll ticket from Patna Sahib. “It’s with a heavy heart and immense pain that I finally bid adieu to my old party, for reasons best known to all of us, on 6th April, which also happens to be the Sansthapna Diwas of BJP,” Sinha tweeted.